The College Board is planning to redesign the SAT, less than a decade since its last revision, which introduced a writing section, eliminated analogies and raised the value of a perfect score. It’s too early to tell how or when the SAT will change, said Kathleen Steinberg, a spokeswoman for the College Board, which administers the exam. 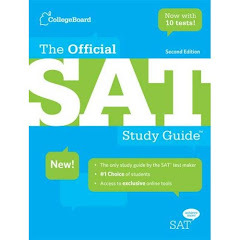 But David Coleman, the College Board’s new president, has criticized the SAT before, in part for the vocabulary words on the exam and for failing to provide source material to analyze and cite in the written portion that requires students to construct an argument. ...Some education professionals interpreted the announcement as the College Board’s response to increased competition with the ACT, Inside Higher Ed reported.